At least different sneakers... ethical & deliciously confortable with brazilian colours, fashion & trendy. Big, small, hurt feet, all kind of feet will feel the better confort without any constraint, freedom feeling ! Imagine a shoe that weight less than 300 gr with a inner anatomic sole ! Sportive professionals love it for the feet relaxation, before or after their specialized sport practice. They can be washed in the washing machine at 30°C, inner sole separately has to be washed by hand. No drying machine. The TAYGRA shoes fabrication is almost 100% HANDMADE (70% by hand, 30% assistes by machines) and production il limited for this main reason. To keep our ethics & control the production quality, production remains 100% in Brazil with Brazilian materials, by one just family, without dislocation, and even with the growth of the orders it will remain the same. We practice a responsible commercial policy with fair trade (the sneakers are paid 20% more than their local price to allow better wages & better life conditions), aimaing at the involvement of the local economy, as TAYGRA work with many Brazilian famillies. 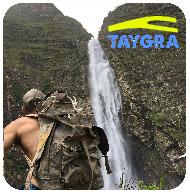 Since its beginnings in 1985, TAYGRA has been conscious & aware regarding environment, even when it was not yet contempory & a commercial argument. We are using an ecologic glue with a water base, without toxicity for man & its planet, brand new on the Brazilian market. It is almost not used because its costs is higher & it takes more time to dry, so very few industries use it. TAYGRA launches a new inner anatomic sole in ecological EVA 100% recyclable with orthopedical memory. An eco-friendly patented innovation for your confort & for less impact on our planet. Packaging pollution is limited as we use a nice TNT canvas beach bag or carton boxes (on dmand) that are realised with recycled materials. More innovation with the first exploration of the "Rainforest Canvas", a real Vegetable Leather coming from the protected reserves of South Amazonia, a fair trade product that helps the small communities to stay in the rainsforest & to protect it from invaders in seek of wood. This material is made out of wild rubber sap, coming from native trees of the primitive rainforest, in the total respect of the nature & the people that love it & take care of it. 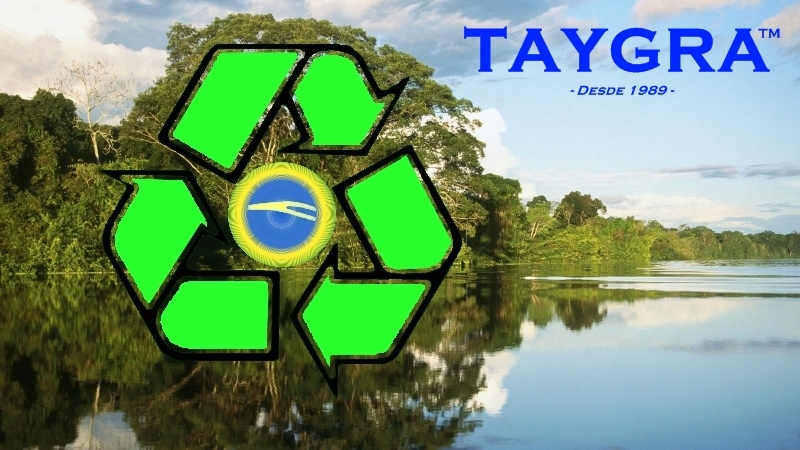 TAYGRA sets up the environmental "CURUPIRA" project, in collaboration with the SIMPI (Syndicat for Micro & Small Enterprise), for reforestation of small pasture fields in the south of Amazonia. Lhe aim is to invert the trend of deforestation & create new forests where there with just cows (creator of methan) to plant trees (absorvers of carbon) and to give a salary complement for the farmers that will accept the deal during 25 years to take care of this patrimony.